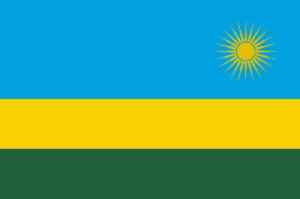 Rwanda, officially the Republic of Rwanda, is a country in Central and East Africa and one of the smallest countries on the African mainland. Located a few degrees south of the Equator, Rwanda is bordered by Uganda, Tanzania, Burundi, and the Democratic Republic of the Congo. Rwanda is in the African Great Lakes region and is highly elevated; its geography is dominated by mountains in the west and savanna to the east, with numerous lakes throughout the country. The climate is temperate to subtropical, with two rainy seasons and two dry seasons each year. Rwanda's supreme court on Wednesday repealed a law that banned the publication of political cartoons, while upholding another that punishes insulting or defaming the president with at least five years..